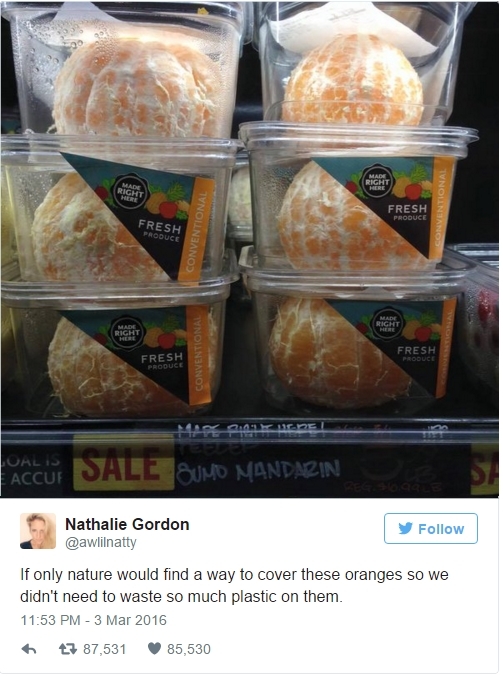 The internet is all a-squeeze about oranges – peeled ones, that is! UK Supermarket, Whole Foods, was thrust in the lime orange-light when they launched pre-peeled, plastic-packaged oranges. 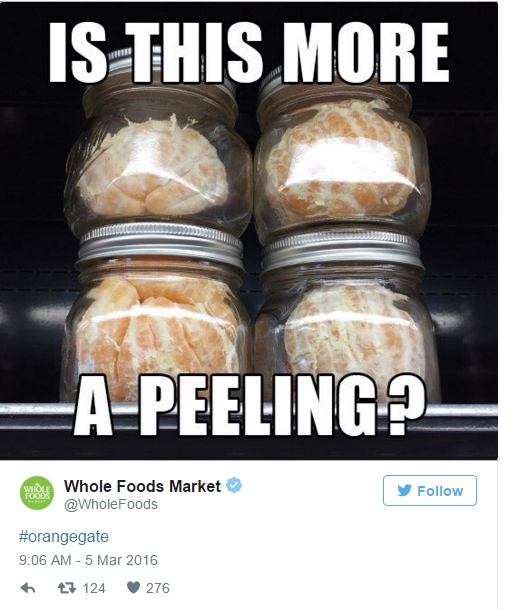 After this tweet zinged around the world a few times, Whole Foods responded by apologizing and pulling the range of skin-free oranges. But not everyone is finding this decision a-peal-ling. Many people are coming to the defense of Whole Foods saying that pre-peeled oranges are fantastic for those with limited use of their hands, such as people suffering from arthritis or rheumatism.